Your experience is one-of-a-kind, so why settle for generic jewelry? Each beautiful PANDORA charm represents a cherished part of your life: a precious moment, a beloved family member, an unforgettable celebration, a lifelong passion. With your gorgeous, customizable PANDORA bracelet, you can combine charms that represent the different aspects of your past, present, and future. Every mom carries a piece of her family with her, but it can be comforting to make that incredible connection a little more tangible with an exquisite piece of jewelry. 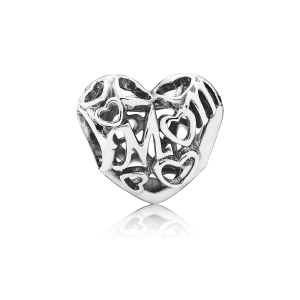 At the URBANfusion jewelry boutique in Skippack, PA, we have the perfect PANDORA charm to represent how much you love your family. The PANDORA Family Roots Charm is an heirloom-style, two-toned locket. The elegant exterior features a magnificent family tree in precious 14K gold, while the charming interior holds a heartwarming engraving: Family Forever. 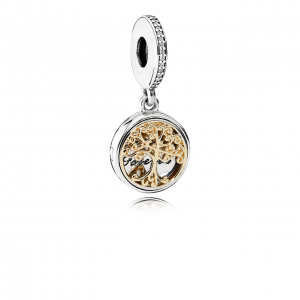 This beautiful charm represents how the generations of your family are deeply connected. 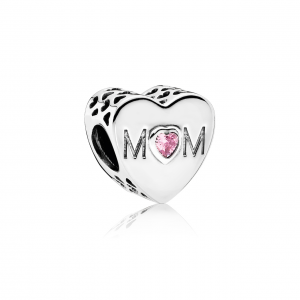 The sterling silver Charm Mother Heart from PANDORA sweetly spells out Mom, with a heart-shaped pink gemstone at the center. Also, this endearing charm looks adorable next to a feminine PANDORA Pink Shimmering Droplets charm, which is made with sparkling pink cubic zirconia dotted with stunning sterling silver. URBANfusion has been a trusted retailer of PANDORA jewelry for nearly 15 years. Whether you are celebrating your passions, your care, your memories, or your loved ones, PANDORA charms will help you tell the story of your life. You can find lovely PANDORA charms and other dazzling jewelry from renowned brands like Wind & Fire and UNO de 50 at one of the best places to shop in Skippack, PA: URBANfusion in Skippack! To find out more about our family-inspired charms, visit us in person, give us a call at 610-572-1326, or shop online at https://www.urbanfusion.com/.